Off late, Google has announced the rollout of the new feature called similar audiences for Search on Monday. Here similar audiences can be easily built from previous site visitors, RMSA or remarketing lists for search ads. Google also announced officially the global availability of Customer Match targeting for shopping campaigns. Firstly, Google teased on the expansion of similar audiences straight from display to search-based campaigns in 2016 May. Now that there is similar audiences for search, Google can target users who search for the same thing as they added to RLSA lists, which means that it considers the kind of search users perform when they landed up on an advertiser’s site. Suppose you have created a remarketing list of people who bought running shoes from some well-known sports site. Rather than helping you reach out to broad groups of people who are all interested in running, the ‘similar audience’ feature will identify that people on the list will search for ‘buy lightweight shoes’ before making a purchase from your site. Based on this feature, similar audiences can find other people with the same kind of behavior like those who searched for lightweight running shoes. Lists will always be updated automatically as users keep changing their search activity. Once a user visits a particular site, they will not anymore be included in the similar audience list. A digital marketer recently told Google that within 2 months, the feature ‘similar audiences’ for search delivered a 12% increase in click through rates and 25% more conversions throughout the test marketing campaigns. Remarketing lists will qualify automatically for similar audiences expansion as they meet a definite criteria and this includes having at least 1000 cookies and enough recent participants who show same kind of behaviors. You will find these listed under Audiences inside Shared Library. Make sure you note that the similar audience lists don’t apply to sensitive categories. Advertisers may apply similar audiences to Shopping and Search campaigns and also add bid modifiers to their audiences. 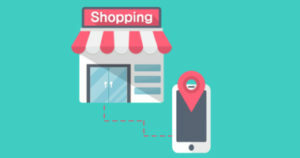 Customer Match for shopping campaigns also permits advertisers to target the current customers with shopping ads, for different new styles apart from text ads. So, if you’re an advertiser who is wondering about how similar audience list can affect your marketing campaign, you can take into account the above mentioned information.